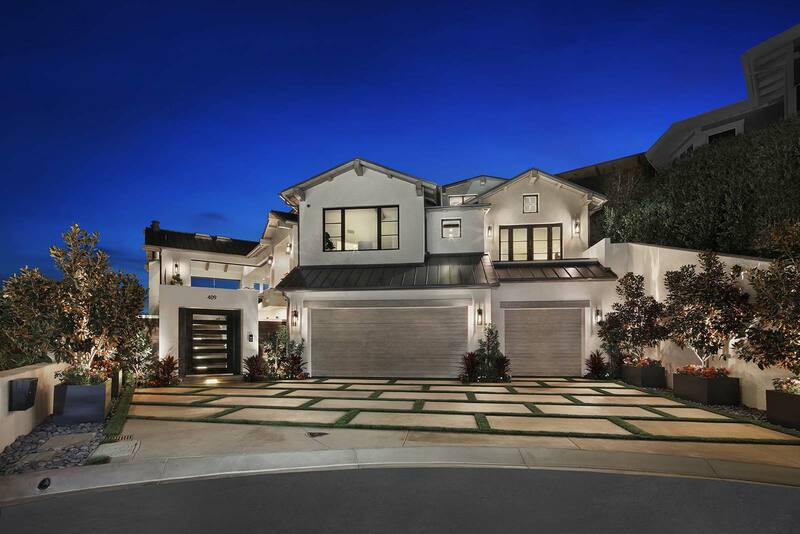 This soft-contemporary home was an exciting build for Patterson Custom Homes. 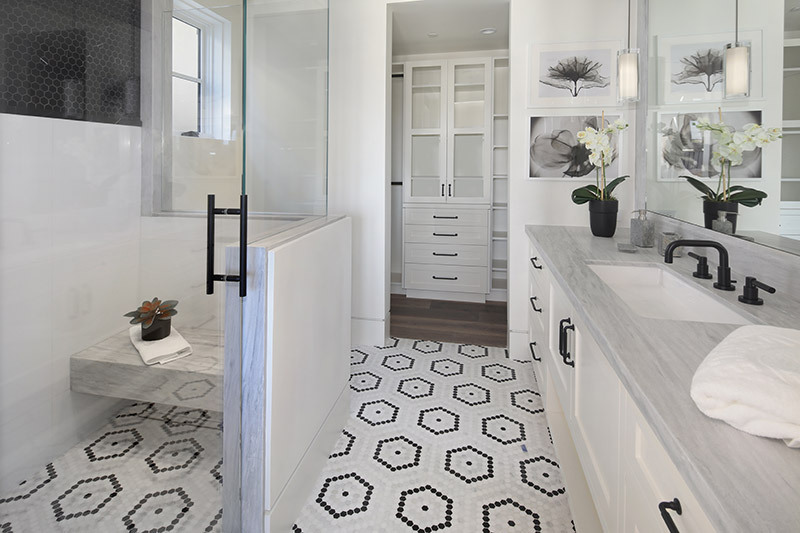 The homeowner retained Patterson very early in the project enabling us to help value-engineer the lot to maximize the square-footage and overall “wow factor” of the design. The original home was raised fifteen feet from the street level, so we recommended cutting down the mountain (which turned out to be granite requiring innovative techniques to excavate and grade) to the gulley to daylight the property and gain additional square footage on the lot. 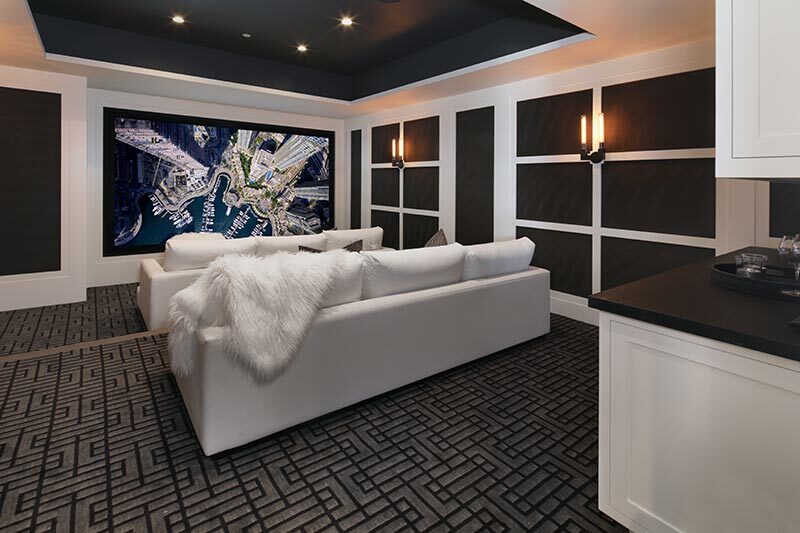 This process made it possible for the home to have a full walk-out basement which became the home’s main entertaining area complete with a family room, theater, bar, and game room. 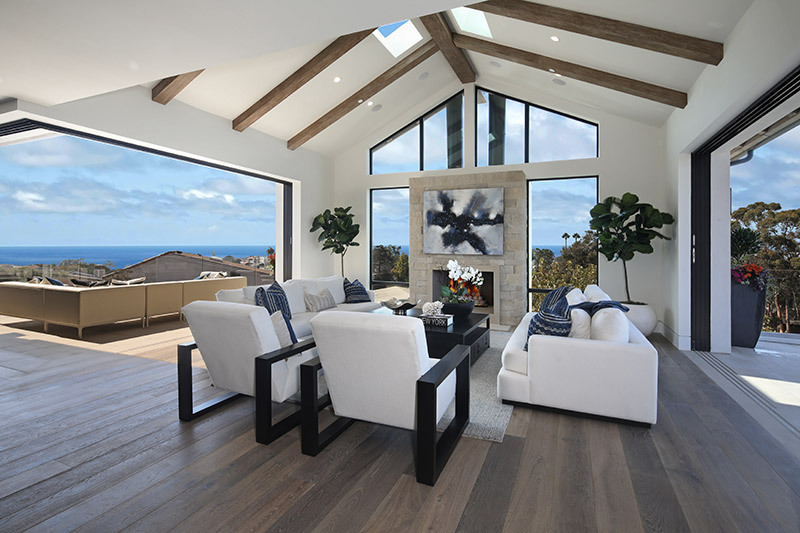 The basement excavation preserved the homeowners’ views from the second floor and allowed us to build a private master suite on the third floor with expansive views from the gulley to the ocean—clear to Catalina. For natural light to penetrate all the way to the basement level, we built an open atrium at the stairwell with skylights and a layered glass chandelier with pendants at each landing. 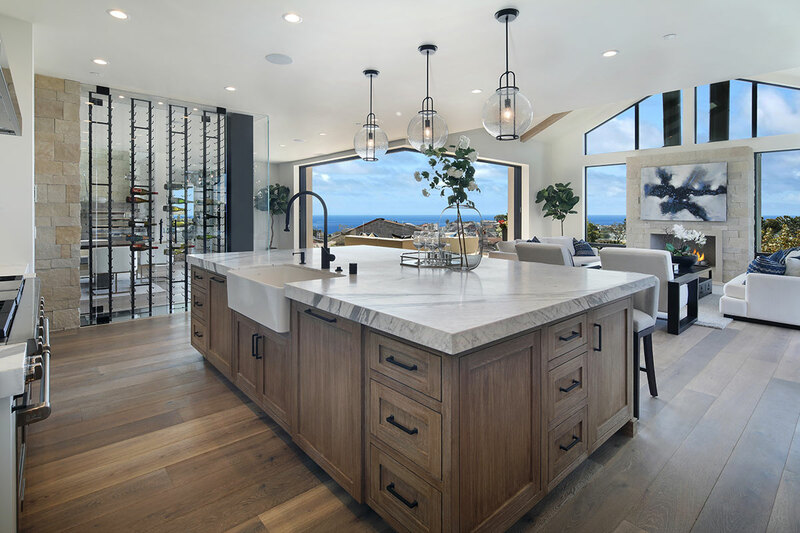 This glass motif was also used at the wine cellar—a two story glass enclosed wine room where we incorporated the structural steel support columns as design elements to give the home an industrial feel.